The Mentoring Connector is the only national database of mentoring programs. This a free service for mentoring programs across the country to recruit more local volunteers and greatly increase visibility for their organizations. Anyone interested in becoming a mentor can search for mentoring opportunities by zip code, ages of youth served, and program type to find and contact programs that interest them. Each year, potential volunteers looking for mentoring opportunities do more than 80,000 searches in this system. Programs meeting baseline quality standards as outlined in the Elements of Effective Practice for Mentoring™ will be added to the publicly‐searchable referral database. Potential mentors can search for opportunities by zip code, ages of youth served, and program type. When interested, the Connector will put them in touch with your organization to learn more about how to get involved. There are two main requirements that must be met in order for programs to be included in the connector. Click this link to register your program. It takes 5 minutes to submit your program into the connector. You can also download our Fact Sheet for more information on the registration process. 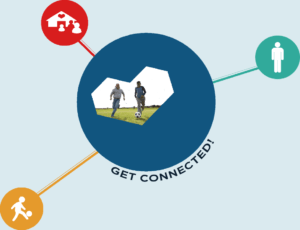 **Bonus: MENTOR National is currently running an incentives program for programs who use the new “MATCH” feature in the connector. Learn more about how your program can be eligible to receive a $500 donation and/or Starbucks gift cards. Looking for a program to start mentoring with? The database search below will show you a list of programs near you. Are you a young person looking for a mentor? Looking for a mentor for your child? Use the database search below to find a program. If you have any questions about this database, Contact Us.